ADHD, or attention deficit hyperactive disorder, is diagnosed through mere observation of symptoms and not by any sort of scientific testing. There are no brain scans, blood tests, or biological readings to determine the presence of ADHD, just a myriad of behavioral and psychological symptoms. 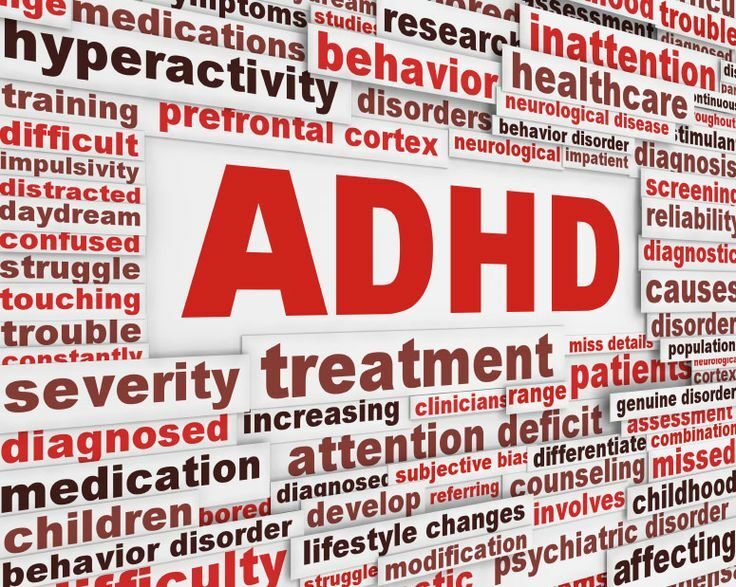 Although many of the symptoms arise from an underlying cause, most doctors who diagnose children and adults with ADHD tend to overlook the underlying health factors in lieu of prescribing an ADHD medication. Whether concentration issues are the result of an allergy, lack of physical or mental stimulation, or is the result of nutrient malabsorption, misdiagnosis is bound to contribute to the sharp increase in ADHD diagnoses. Blood sugar issues are common, especially in children who regularly consume high-carbohydrate foods. Highly processed foods often encourage a blood sugar crash. Low blood sugar, or hypoglycemia, can cause irritability, lack of concentration and focus, and low energy levels — classic “ADHD” symptoms. Although research hasn’t shown that sugar causes ADHD, it has been shown to boost observable symptoms. Allergic reactions to synthetic dyes, preservatives, and other food chemicals can lead to symptoms associated with ADHD. One of the first steps to take if you’re experiencing concentration or focus problems is to avoid synthetic, processed, and non-organic food whenever possible. There are many reasons why a child (or even an adult) may have trouble learning. Perhaps they learn at a slower rate. On the other hand, maybe they can pick up new information faster than those around them, resulting in extra downtime for daydreaming and restlessness. Whatever the cause, undiagnosed issues can result in an ADHD diagnosis. Perhaps all that’s required to improve symptoms is a change of environment or teaching method. If a child has trouble seeing the board or hearing the teacher, this could affect how they perform in the classroom. This can affect adults as well, and many older adults are reluctant to tell their doctor about hearing or eyesight issues. Remedying poor eyesight or hearing may be helpful for avoiding an ADHD diagnosis. Certain genetic diseases, like diabetes and heart disease, may also increase ADHD symptoms. People who have been diagnosed with ADHD should take inventory to determine if they’re instead suffering from any one of the following conditions. Any sort of heart abnormality can affect blood, oxygen, and nutrient flow to the brain. Adults and children alike should look into their heart health if on the verge of being diagnosed with ADHD, especially if heart disease runs in the family. While anemia isn’t always inherited, the condition, marked by a lack of red blood cells, is often a result of genetics. Anemia can cause a decreased level of oxygen to the brain, possibly leading to brain dysfunction. Many health experts believe that 85% of children with bipolar disorder meet the criteria set for ADHD. For children suffering from bipolar, mood swings can occur throughout the day, and many doctors, parents, and teachers misjudge these occurrences as ADHD. Gasoline fumes, pesticides, and lead are just a few of the toxins that permeate every day life. At times, you can become bogged down with toxins that manifest certain symptoms and conditions, including those associated with ADHD. When the liver isn’t functioning as it should, it may prompt a lack of focus, concentration issues, and irritability. Certain metabolic disorders that interfere with the body’s ability to metabolize, or break down and absorb, certain nutrients may lead to the mental degeneration. A brain that can’t properly utilize glucose, for example, may experience difficulty processing and retaining information, a marked sign of attention deficit disorder. Sleeping habits that are less than ideal can increase the chances of an individual being diagnosed as having ADD or ADHD. Not getting enough sleep or getting too much sleep can make you groggy and restless, both of which interfere with concentration. A viral or bacterial infection could lead to temporary changes in behavior, and not for the better. People with suppressed immune systems are the most susceptible. Even minor infections can affect behavior, mood, and mental clarity. Caffeine and sugar are two of the worst offenders when it comes to maintaining mental health and clarity. Both behave like drugs and have addictive qualities. Sugar and caffeine stress the adrenals, lead to energy crashes, cause nervous issues and agitation, and even contribute to decreased memory and focus. Not receiving adequate vitamins and minerals can also interfere with brain metabolism, especially B vitamins. Every diet should include a balance of protein, fiber, and fat to prevent blood sugar spikes that produce energy lulls and concentration issues — two symptoms typified by ADHD. Some prescription drugs can lead to minor brain atrophy, a condition that can cause a disturbance in cognition. Prescription medications may also interfere with brain function to cause mental and physical fatigue. Children or adults with brain disorders that interfere with their sensory faculties may display symptoms of ADHD. Minor seizure disorders, if undiagnosed, can be mistaken for attention deficit disorder. While rare, these issues should be considered before jumping into a conventional ADHD care regimen. An imbalance of good bacteria in the intestines can interfere with brain function. Serotonin, a neurotransmitter present in the intestines, is a great influencer of mood and behavior. Bad bacteria in the gut can negatively affect this neurotransmitter. Sugar, processed carbohydrates, and a lack of sunlight can interfere with the balance of good to bad bacteria in the body.